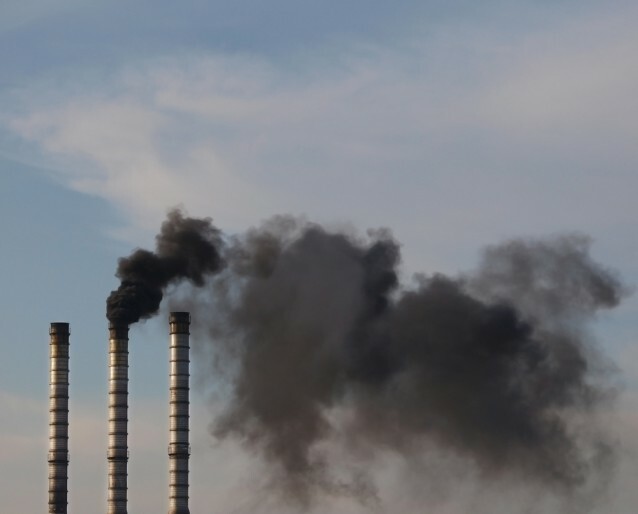 CO2, better known as carbon dioxide, hit 402 parts per million this week. That is the highest level recorded in at least 800,000 years. The recordings came from the National Oceanic and Atmospheric Association’s Mauna Loa Observatory in Hawaii, which marked another ominous milestone last May when the 400 ppm threshold was crossed for the first time in recorded history. Since 1958, the Mauna Loa Observatory has been gathering data on how much carbon dioxide is in the atmosphere. CO2 is the greenhouse gas that drives climate change, and carbon dioxide has increased by 24 percent since 1958. The Mauna Loa Observatory CO2 monitoring station is recording CO2 concentrations above 400 parts per million . These are the highest levels found on earth in millions of years. 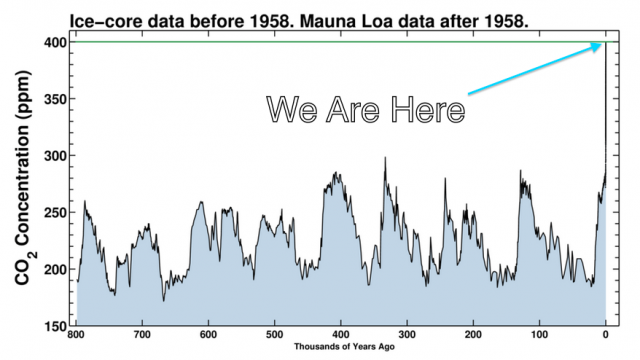 The last time CO2 levels at Mauna Loa were this high, human beings did not live on this planet. The last time CO2 levels were this high was during an era known as the Pliocene, more than 2.5 million years ago. The Arctic grew lush forests instead of ice and snow. The planet's temperature averaged about 5-6 degrees F warmer, and sea levels were 15 feet higher. We are seeing the effects of climate change in the form of rising seas, wildfires, droughts, and extreme weather of all kinds. Passing the 400 PPM mark is an ominous sign of what might come. While the level only goes up year after year, this is a sign that our dependence on fossil fuels is out of control. The only way to get to a safe level of carbon dioxide is to immediately transition away from fossil fuels. NASA rounded up a few scientists here and asked them what passing 400 ppm means to them. Passing the 400 mark reminds me that we are on an inexorable march to 450 ppm and much higher levels. These were the targets for 'stabilization' suggested not too long ago. The world is quickening the rate of accumulation of CO2, and has shown no signs of slowing this down. It should be a psychological tripwire for everyone. 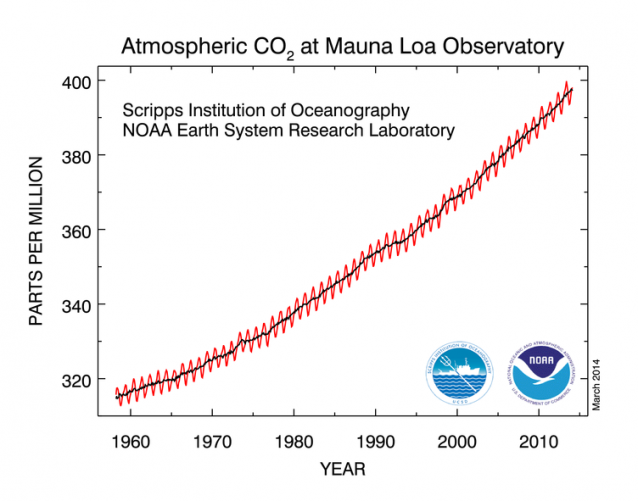 CO2 concentrations haven't been this high in millions of years. Even more alarming is the rate of increase in the last five decades and the fact that CO2 stays in the atmosphere for hundreds or thousands of years. This milestone is a wake up call that our actions in response to climate change need to match the persistent rise in CO2. Climate change is a threat to life on Earth and we can no longer afford to be spectators. Scary scorecard: catastrophic climate change 400, humanity zero. Listen to the scientists, vote wisely, beat carbon addiction and put humanity into the game. In some ways, 400 ppm is just a number, another milestone that we are blasting past at a rate that is now exceeding 2 ppm per year. Over time, this number takes on greater weight. It brings home the fact that fossil fuel combustion, land use practices, and human activities have increased the CO2 concentration in Earth’s atmosphere by more the 20 percent since I was born. Wow! We've put the planet on a high-carb diet for over a century. Time to get lean and go green. Reaching 400pm is a stark reminder that the world is still not on a track to limit CO2 emissions and therefore climate impacts. We're still on the 'business-as-usual' path, and adding more and more CO2, which will impact the generations ahead of us. Passing this mark should motivate us to advocate for focused efforts to reduce emissions across the globe. Current [atmospheric] CO2 values are more than 100 ppm higher than at any time in the last one million years (and maybe higher than any time in the last 25 million years). This new record represents an increase of 85 ppm in the 55 years since David Keeling began making measurements at Mauna Loa. Even more disturbing than the magnitude of this change is the fact that the rate of CO2 accumulation in the atmosphere has been steadily increasing over the last few decades, meaning that future increases will happen faster. When averaged over 55 years, the increase has been about 1.55 ppm CO2 per year. However, the most recent data suggest that the annual increase is more than 2.75 ppm CO2 per year. These increases in atmospheric CO2 are causing real, significant changes in the Earth system now, not in some distant future climate, and will continue to be felt for centuries to come. We can study these impacts to better understand the way the Earth will respond to future changes, but unless serious actions are taken immediately, we risk the next threshold being a point of no return in mankind's unintended global-scale geoengineering experiment. Principal investigator, Carbon in Arctic Reservoirs Vulnerability Experiment (CARVE) mission. As a college professor who lectures on climate change, I will have to find a way to look into those 70 sets of eyes that have learned all semester long to trust me and somehow explain to those students, my students – who still believe in their young minds that success mostly depends on good grades and hard work, who believe in fairness, evenhandedness and opportunity – how much we as people have altered our environment, and that they will end up facing the consequences of our inability to act. Reaching the 400 ppm mark should be a reminder for us that carbon dioxide levels have been shooting up at an alarming rate in the recent past due to human activity. Levels that high have only been reached during the Pliocene era, when temperatures and sea level were higher. However, Earth's climate had never had to deal with such a drastic change as the current increase, which is likely to have unexpected implications for our environment.